After the complete failure of driving to Three Pools along Opal Creek on Saturday to only find it overrun with drunk idiots with glass bottles everywhere we decided to stay local and find some water for Leo to cool off in. 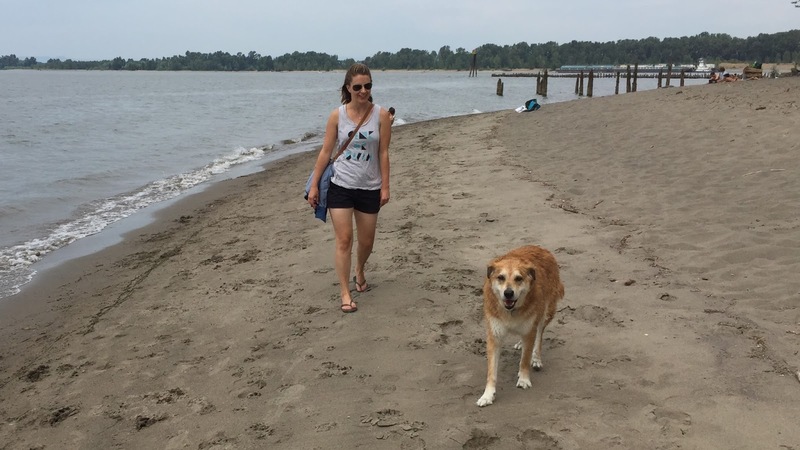 We first tried a couple beaches along the Columbia but dogs were forbidden so we instead made our way out to Kelly Point, which is the convergence of the Willamette River into the Columbia just north of the St. Johns neighborhood of Portland. 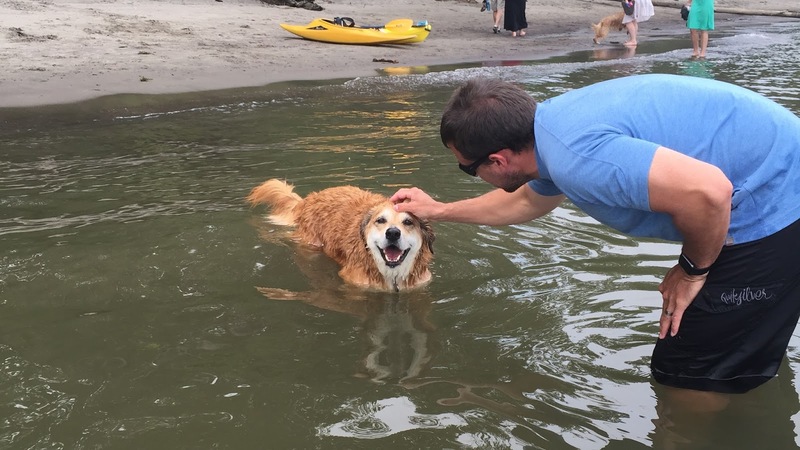 We spent the next hour or so walking around the point of land with Leo and “encouraging” him into the water to cool off. 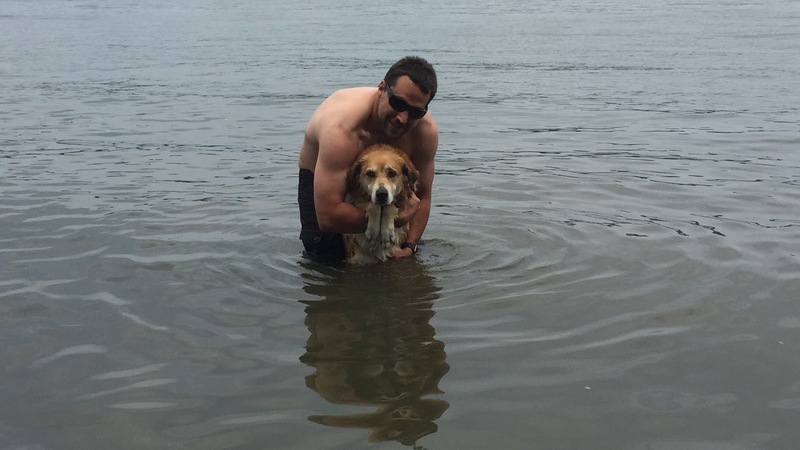 He’s not a big fan of swimming so much of it was me carrying him out to the water and having him swim back to Emily at the beach. We saw a couple wakeboard boats on the river and one was anchored right off the beach… certainly gave Emily and I a few ideas! 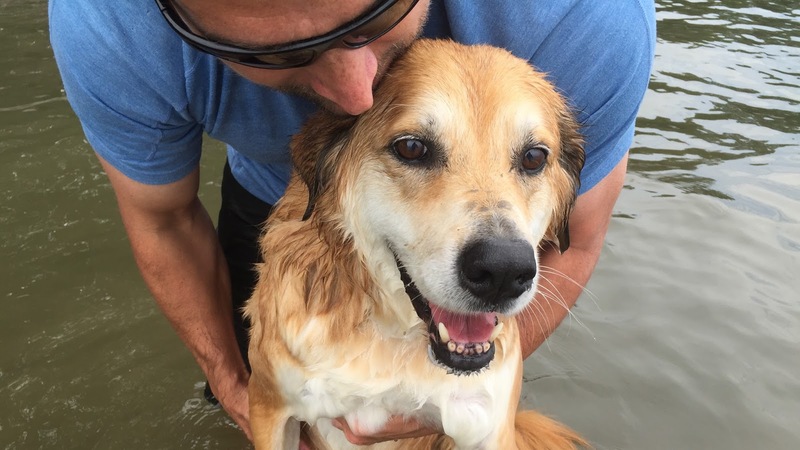 So… after a weekend of failure after failure, we were able to finally get Leo cooled off in a river!